Long’s Peak Disc Golf Club was formed in 2001. Today we have over 150 members annually. 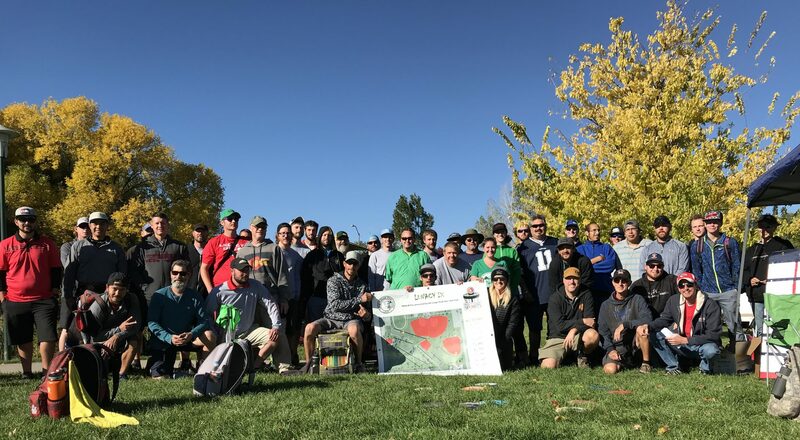 Our purpose is to promote disc golf in Longmont, CO and the surrounding area. Membership in our club costs $20 annually and this year includes a custom made club bag tag and a club logo/design shirt. You can purchase your club membership anytime throughout the year from any of the Board Members while at any of our club run events such as Wednesday Tags/League – or anytime you see them on the course. USED discs are BUY 1, GET 1 FREE all year. 20% off all bags, baskets, & accessories. Special deals available only to league members, every month from March-October. Sign up for PIAS rewards program & earn store credit back on any purchases. Bring your tag on your next visit & we will register it in our system. Once registered, you’re set for league discounts for the year. We also have a reclaimed disc policy with PIAS. The following is that policy. $2 for found discs w/a name other than yourself. Reclaimed discs will be held through end of the month that they were turned in before being available for sale to public. Find your disc @ any time, PIAS ask for our $2 back. ID must match name on disc. PIAS staff have the right to refuse any reclaimed disc due to condition, cleanliness, etc.